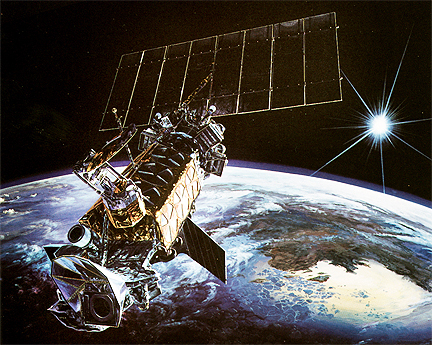 DMSP satellites are used for strategic and tactical weather prediction to aid the U.S. military in planning operations at sea, on land and in the air. Image courtesy of Lockheed Martin. Harris Corporation (NYSE:HRS) has been awarded a five-year, $25 million contract by the Air Force Space Command Space and Missile Systems Center to sustain the ground system for the Defense Meteorological Satellites Program. The contract includes one base year and four one-year options. Under the contract, Harris will maintain Defense Meteorological Satellites Program (DMSP) software and hardware, and support compliance with information assurance requirements. Harris is the original developer of this ground system, providing engineering, upgrades and maintenance support for more than 40 years. The Harris team includes subcontractor Lockheed Martin Services, Inc. This contract was awarded under the U.S. General Services Administration's Alliant contract vehicle. "Harris' deep knowledge of this program was gained through over 40 years of experience delivering engineering and support for the Defense Meteorological Satellite Program," said John Heller, president, Harris IT Services. "Harris will continue to apply our unique expertise on this contract to ensure the program's ground system remains fully operational and compliant with requirements for years to come."